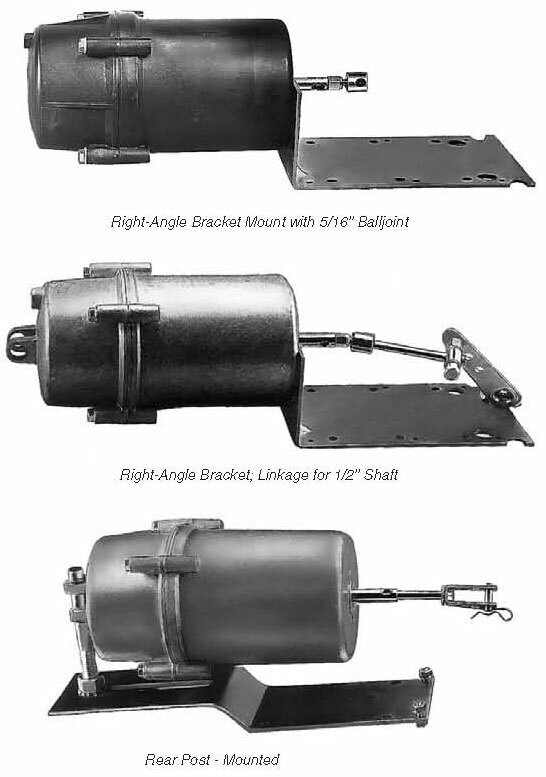 DAMPER RATING Gradual: 3 sq. ft. 2-Pos. : 4.5 sq. ft.
DAMPER RATING Gradual: 12 sq. ft. 2-Pos. : 15 sq. ft.
POSITIONER Start Point: adjustable Span: 5psi fixed, 10psi opt. 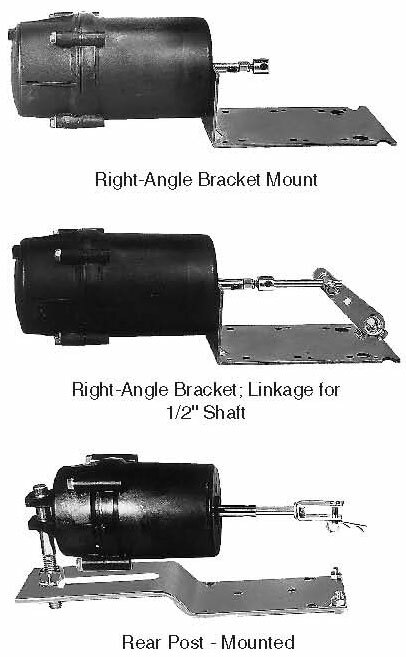 These 4x4'' medium duty damper actuators are available in both nylon and aluminum models, with or without adjustable positioner and a complete assortment of spring ranges. DAMPER Gradual - 25 sq. ft. RATING 2 pos. - 30 sq. ft.
POSITIONER Start Point - adjustable Span - 5 psi fixed, 10 psi opt. 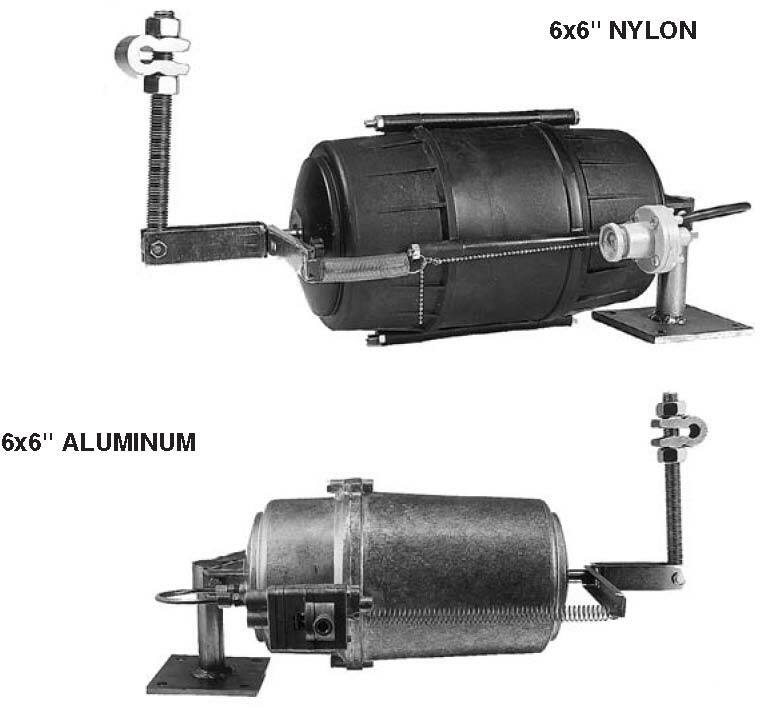 Use the 6x6'' pneumatic damper actuator on large automatic air control dampers. 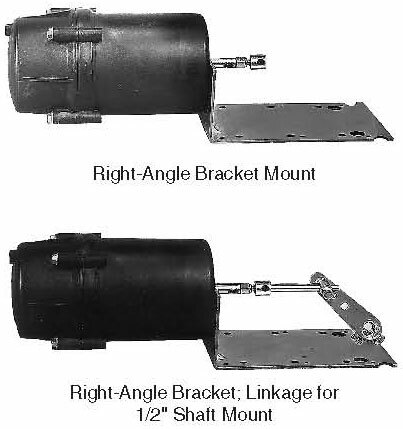 Its unique universal mounting bracket also allows it to be used on butterfly valves and variable fan inlet vanes. Available with or without an adjustable start point positive positioner. DAMPER Gradual - 75 sq. ft. RATING 2 POS. - 90 sq. ft.
POSITIONER Start Point - adjustable Span - 5psi fixed, 10psi opt. PNEUMATIC ACTUATOR: A standard pneumatic actuator shaft is extended as the branch line pressure increases and retracts as the branch line pressure decreases.